AdvoWaste is Mississippi's local alternative to professional, safe and reliable MS medical waste disposal services. We handle all types of biohazard waste and sharps removal for a wide variety of facilities in MS.
and MS Medical Waste Services. and More MS Medical Waste Clients. See how Advo Medical Waste Disposal beats the competition in Mississippi. Our service is better than the competition. We offer quick and prompt MS biohazardous waste pickup services with the flexibility you need to meet your needs. We guarantee to save you at least 30% off of your current local medical waste disposal service in Mississippi. We will provide you with an accurate price with a quick over the phone quote. 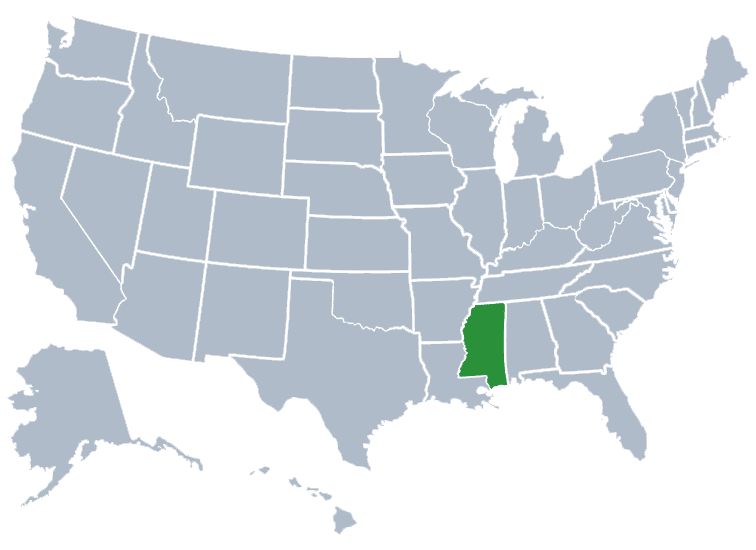 Mississippi is a state in the US which is located in the southern region with part of it’s southern border formed by the Gulf of Mexico and its western border formed by the Mississippi River. On the north it is bordered by Tennessee, on the south is is bordered by Louisiana and on the east by Alabama. Mississippi is composed of lowland and most of the state is part of the East Gulf Coastal Plain. The climate is a humid subtropical one, with mild winters and long hot summers. Thunderstorms are common in the southern part of Mississippi and the state is known for having tornadoes. Seasonal flooding during the December to June months created a fertile floodplain in the Mississippi Delta. The town of Lena is the center of population and is located in Leake County. According to a 2015 US Census Bureau, the population of Mississippi is approximately 2,990,000 residents. According to the Bureau of Economic Analysis in 2010, the state’s total state product was approximately $98 billion. Some notable people who are from Mississippi include Oprah Winfrey, James Earl Jones, Brett Favre, Walter Payton, Medgar Evers, Muddy Waters and Elvis Presley. The most populated cities in Mississippi are Jackson, Gulfport, Southaven, Hattiesburg, Biloxi, Meridan, Tepelo and Olive Branch. Jackson, Gulfport, Southaven, Hattiesburg, Biloxi, Meridian, Tupelo, Greenville, Olive Branch, Horn Lake, Clinton, Pearl, Madison, Ridgeland, Starkville, Vicksburg, Columbus, Pascagoula, Brandon, Oxford, Gautier, Laurel, Clarksdale and more MS medical waste service areas.